A Year of Being Here: Rosemerry Wahtola Trommer: "Action Plan"
before the pen riddles it blue. 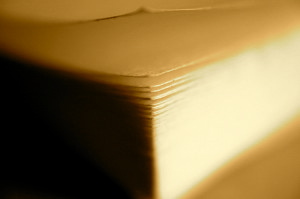 Stack of yellow blank with glue. Pray that blank might stick to you. with so little plan of your own. the void, not the litany of Things To Do. "Action Plan" by Rosemerry Wahtola Trommer. No further bibliographic information available.